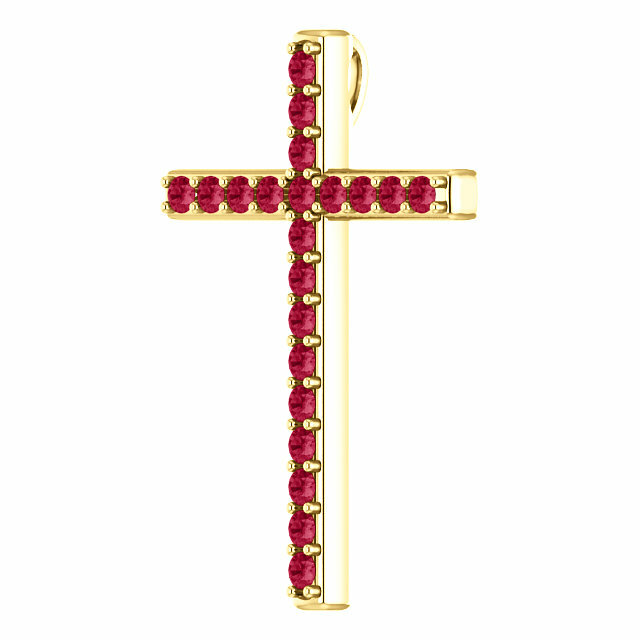 The strikingly beautiful hue of this red topaz cross pendant crafted in yellow gold is a daily, symbolic reminder that Jesus Christ is the Faithful Witness who shed His own blood to save us from our sins. "And from Jesus Christ, who is the faithful witness, and the first begotten of the dead, and the prince of the kings of the earth. Unto him that loved us, and washed us from our sins in his own blood" (Revelation 1:5). Available in your choice of 10k, 14k, or 18k yellow gold (also available in white gold or sterling silver, shown below). 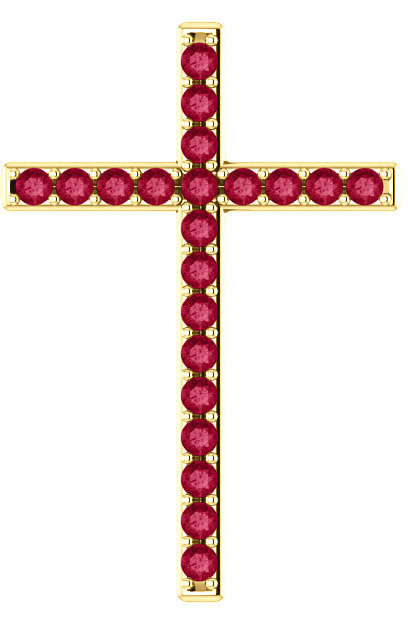 The cross measures 1 1/4" tall x 0.85" wide and is set with a total of 21 high quality Swarovski-brand red topaz gemstones which measures 2mm each in size. 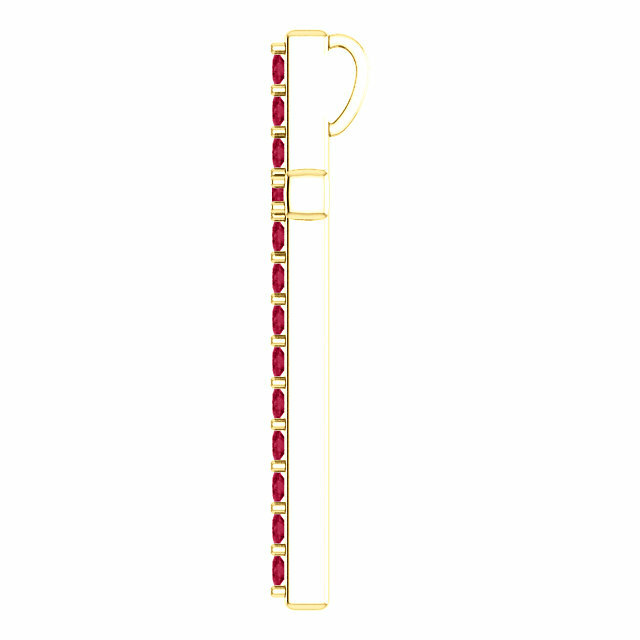 Add a matching yellow gold cable-chain necklace to the red gemstone cross or wear it with a chain necklace of your own choosing. We guarantee our Faithful Witness Red Topaz Cross Pendant in Yellow Gold to be high quality, authentic jewelry, as described above.